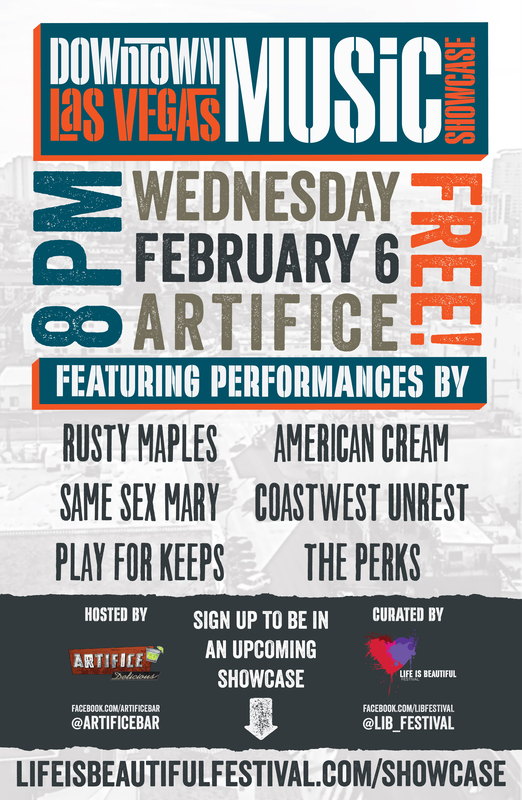 Downtown Las Vegas Music Showcase THIS WEDNESDAY @ArtificeBar | Do You Hear The Music? Super stoked about this Wednesday evening at Artifice for the first Downtown Las Vegas Music Showcase curated by Life Is Beautiful. I’m pumped about the lineup we have (see poster below) and can’t wait to kick things off. I hope you can join me for some good music, strong drinks and a great evening. We’ll be kicking things off at 7 p.m. with DJ Zo, band starting at 8 p.m. Admission is free. Also last week the Las Vegas Review-Journal (click HERE) and Downtown Project (Click HERE) ran items on the Downtown Las Vegas Music Showcase.